Make a splash in our beautiful swimming lake! Our beautiful upper fishing lake is not the only reason people love Shawnee Lake Park. We also have clean, safe playgrounds, volleyball court, picnic shelters, horseshoe pits, and a family friendly lodge and game room for your enjoyment. 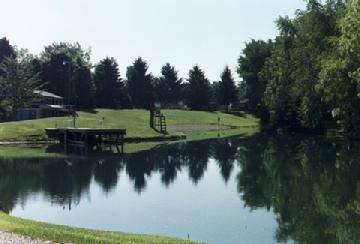 You and your loved ones may also enjoy our peaceful fishing lake where everyone makes a catch. No boat? No problem! We have paddleboats available at a nominal fee. Need ice or firewood? Come on down to our camp store where you can get just about anything you may have left at home. 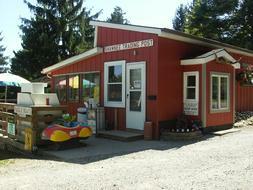 Campground Store: Opened Friday Saturday Sunday & holiday Mondays! Our New Pool was blessed on May 28, 2011 before the group jump-in. Take a look!